Did you know that cruising is also becoming one of the fastest growing holiday options for singles? Yep! Whether you’re a single in search of a relaxing getaway or happily married and simply want to embark on a solo trip, cruising is a fantastic option. Here’s 6 reasons why it rocks! Solo cruising is becoming increasingly popular, which goes hand in hand with lines starting to offer single travellers better options. Today’s ships offer single berths at wonderfully affordable prices, which means you can say goodbye to the singles surplus! 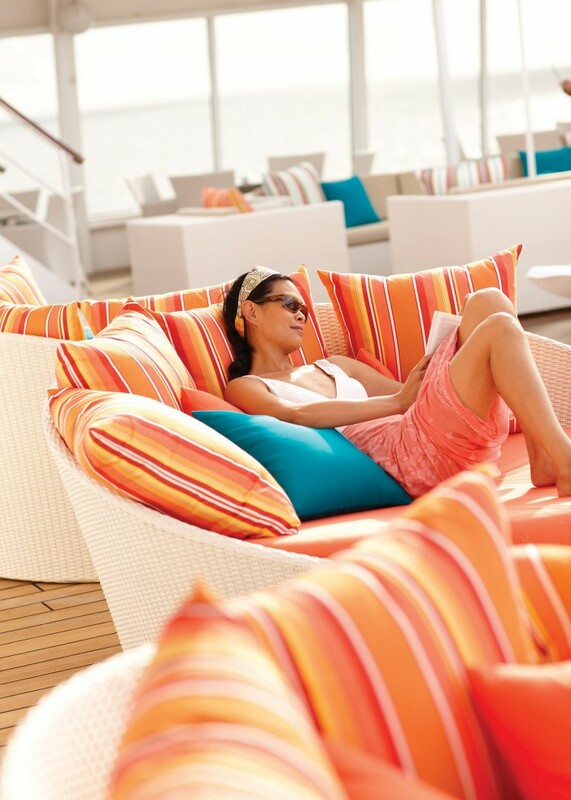 Whether you’re in search of friendship or romance, cruising solo is a great way to meet and mingle with new people. As well as group shore excursions and shared dinners, some ships also throw singles specific events. When you travel solo you enjoy total control over your every move. Whether you want to sleep in, hit the cocktail bar or soak up the sun all day, you’re the boss! It’s the perfect excuse to relax, unwind and enjoy a little time all to yourself. Forget roughing it simply because you’re travelling solo. When you cruise with luxury lines you’ll enjoy world class dining, entertainment and facilities. And you’ll never be short of company, as cruise ships are always full of like-minded travellers. Setting sail solo will give you a serious sense of achievement and independence. With a plethora of unique destinations to choose from, the world is at your fingertips. Plus, you’ll be able to satisfy your craving for adventure, without having to live out of a suitcase. Some people are concerned that travelling alone is dangerous, and they’re not necessarily wrong. If you’re concerned about safety, cruising with a world class line is a terrific option. You’ll enjoy all the comforts of a luxury cruise ship, plus the excitement of exploring new ports in exotic destinations. Want to set sail on your very own solo cruise experience? Get in touch with one of our friendly Cruise 1st customer service representatives today to find the perfect solo cruise deal. Whether you want to head to the sun kissed Caribbean or a chic European city, the choice is entirely yours. Give our friendly sales team a call on 0808 274 6777. Whether you’re a single in search of a relaxing getaway, or a happily married individual who simply wants to embark on a solo trip, cruising is a fantastic option.